Merry Christmas and Happy New Year from our Father’s House South Africa families! Video taken at the annual FH SA Christmas Partywith gifts contributed by a local South African church. Look at those happy faces!!! Click here for our Christmas 2018 e-newsletter. 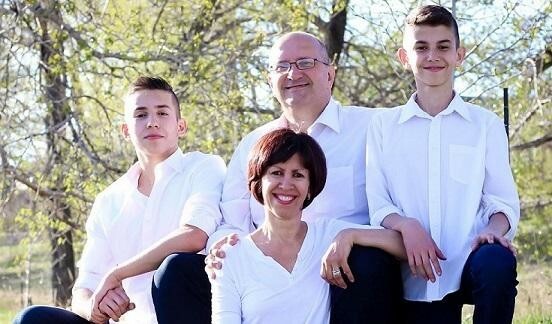 A Romanian couple, Chris and Alinda Rusu came to Canada 20 years ago to make a life for their family. Both husband and wife were university educated and held high level positions, earning a good living. But Christ saved them and changed their whole direction in life. No longer are they chasing the dollar. Now they are following God's leading to go back to Romania and serve Him through Father's House International. They come with a wealth of experience in marriage counseling, prayer and healing. Their ministry is vital for children who have been neglected and abandoned before coming to our Father's Houses. Alinda will be able to share and care for our moms who raise these children and teens day in and day out. She is mother to two grown children (and grandchildren! ), and two teen boys. We do appreciate your support in order to help the Rusu family follow God's leading in their lives! God bless you with the unlimited riches of Christ. 20 Years of Father's House International (CAIRD) Making a Lasting Difference in Children's Lives! To help us in our vison of "Orphans no More" you can start your $45 monthly sponsorship of a Father's House child by clicking here and write "Child Sponsorship" in the message box. Any amount helps. Thank you!